4037 Druid is public in scale, and architecturally exciting in a very traditional suburban neighborhood. 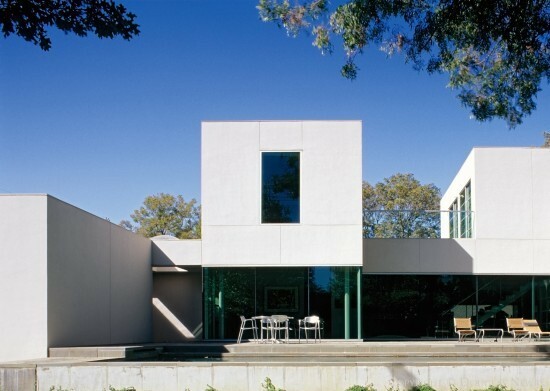 A modern house is often looked at as stern, rather than as a warm accessible home in which to live. The demarcation between the sidewalk and stoned concrete floor of the center hall sometimes disappears for children and their neighborhood friends roller-blading, cycling or just running through. This is an inviting, elegant and robust home.